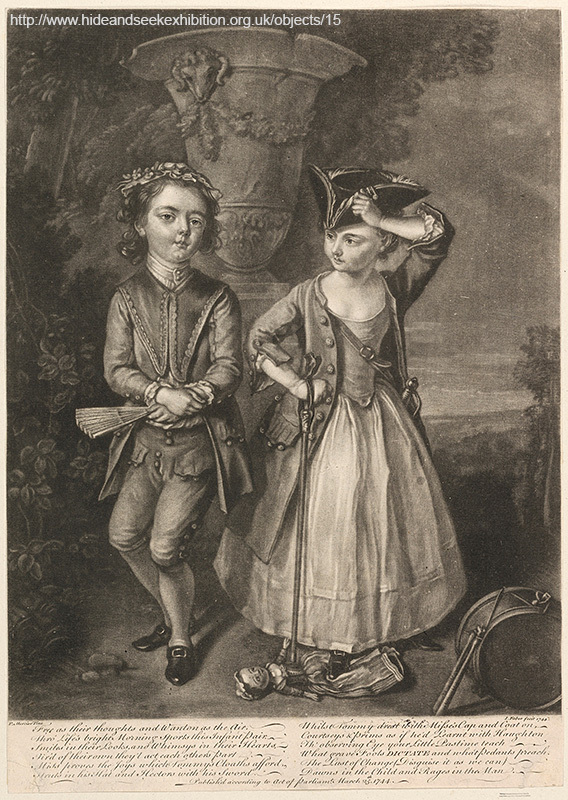 Boy and Girl by John Faber II, 1744. In this print, the boy and girl have exchanged parts of their outfits. The boy is wearing her collar and cap and holds her fan. She wears his jacket and hat and holds his sword.